I've always believed that accessories can either make or break your outfit. And when you're at a lost on which goes better with what, in terms of type, color and style, I daresay go for the classic ones. That is why, I'm beyond ecstatic to share with you guys some great news (the official press release) from the world-renowned jewellery, Pandora. 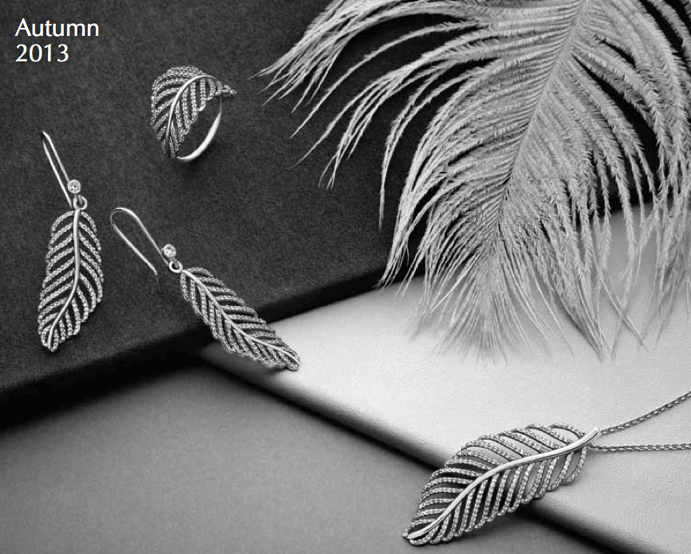 The delicate and transient beauty of feathers comes to life in PANDORA’s new feather jewelry. Rendered as a necklace pendant, cocktail ring and drop earrings, the feather’s graceful beauty and feminine fragility is immortalized in sterling silver. The delicate fringes are embellished with pavé set cubic zirconia, lending a feeling of luxurious elegance to the symbolic motif. A treasured keepsake or a striking statement, PANDORA’s feather jewelry is an enduring symbol of life and freedom. Continuing the success of PANDORA’s pavé charms, this season sees the launch of a new colour to the popular collection. Inspired by the beauty of the forest, PANDORA’s new sparkling green pavé charm awakens the senses, bringing to life the rich splendor of nature. A treasured keepsake and elegant addition to any bracelet, 94 dark green cubic zirconia are pavé set by hand on the sterling silver charm. 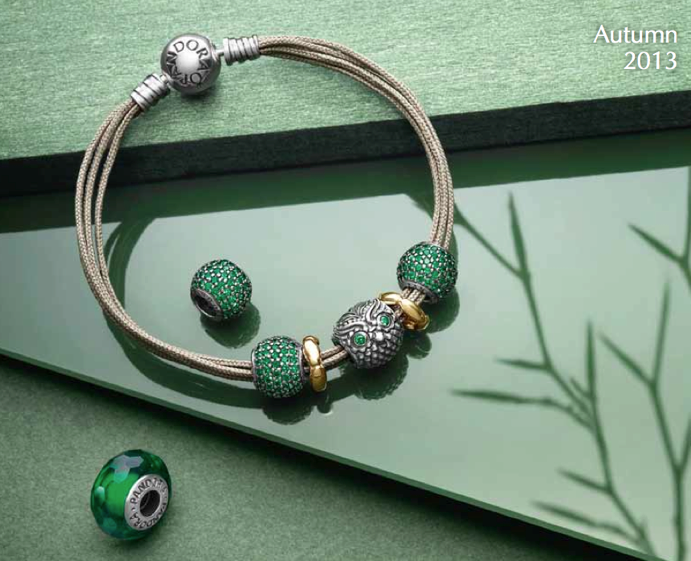 Lending texture and sparkle to your chosen look, the beautiful green charm is stunning alone or as a vibrant seasonal statement when mixed with PANDORA’s colourful pavé charm collection. PANDORA’s signature glass charms, hand-spun from Italian Murano glass, are skillfully updated with the addition of delicate bubbles and catwalk colours. Individually handcrafted from coloured glass and set on an inner ring of sterling silver, the pretty charms contain delicate bubbles, adding iridescent sheen to each. The addition of sparkling cubic zirconia stones adds a touch of luxury to the feminine charms. Versioned in the season’s catwalk colour story – pink, purple, blue and classic white – the bubble effect charms are a luxurious and playful addition to any bracelet as well as on-trend accessory ensuring you’ll stay right on the style mark.